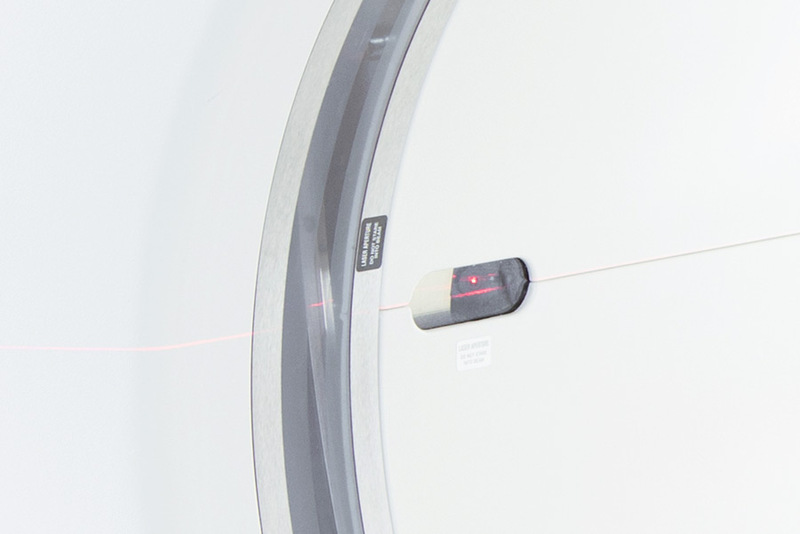 The PET/CT procedure consists of merging two methods of medical imaging sequentially to obtain images of the anatomy (during the CT portion of the examination) and of the metabolic activity of the body cells (during the PET portion of the examination). As preventive tools, the PET/CT can discover tumors, assess the ferociousness of a cancer, and establish the stage of cancers. Your physician will subsequently use the results obtained to decide on the most appropriate treatment to follow. In 15% of cases, the PET/CT checkup leads to the finding of new metastasis. In such occurrences, the treatment can be customized more closely to the patient’s inherent circumstance. To perform a PET/CT scan, a glucose-based radioactive substance (FDG-F18) is injected through intravenous route. As body cells used glucose as their main sources of energy, the FDG-18 liquid (a glucose) is used by body cells as a source of energy. However the cancerous cells which have an augmented metabolism will ingest a greater quantity of FDG-F18 than the healthy cells. Only an hour after the inoculation, images are obtained: initially a CT, but immediately followed by PET images. Both sequences of images are then amalgamated to allow a precise localization of FDG-F18 hyper-fixation areas. Differentiation between the recurrence of a brain tumor and radiation necrosis due to previous radiation cure. A PET/CT scan can be used for the early analysis of Alzheimer’s malady and the recognition of other types of dementia. Additionally this examination is helpful for the localization of a focus of epilepsy when typical medication does not allow for the suitable control of the malady and when a surgery is considered. In cardiology, a PET/CT examination can be used to assess the myocardial viability, which can then establish if a revascularization could be of beneficial to the patient. At dinner, take a light meal and avoid eating carbohydrates (such as pasta, bread, rice, potatoes, chips, fruits and pastries). It is also recommended to avoid sugar and its substitutes. Be careful! Various types of food contain sugar (e.g. juice). You can however take a light snack in the evening before the test. Keep in mind that the localization of the radioactive substance (FDG) in your body will depend on your blood sugar level. Hence, it is crucial for the success of your scan to follow these recommendations. You must be in a fasting state (from midnight; 6 hours minimum) and you are only allowed to drink water (as much as you want). You must avoid smoking. You must avoid being cold (no air conditioning) and avoid heavy physical activity. If you are breast-feeding your baby, you will have to avoid doing so for 24 hours after your examination. When possible, a copy of your last radiological examinations report (CT, MRI, etc. ), along with the CD of those examinations. FDG is ordered 24 hours in advance specifically for you. If you need to cancel your appointment, please notify us one working day in advance. Otherwise, you will have to assume the cost of the product. We will first ask you a few questions in order to collect your medical information. Your blood sugar level will as well be assessed. You will have to drink an orange-flavored barium (this is a medium contrast liquid for the digestive system). Through intravenous route, we will dispense you a glucose-based radioactive isotope: the FDG. This substance does not have any side effect. For about one hour, you will be asked to take a break on a relaxation chair in an unlit room. Subsequently, your TEP/CT examination will take place and will last less than one hour. Finally and not least, you should be able to resume your usual activities by the time you leave our clinic, with a negligible quantity of radioactivity in your body.